Back to Basics! In this class we break down postures and breath, taking them at a slower pace, with in depth exploration of benefits and alignment. Perfect for a first time practitioner or any student wanting to revisit their foundations of practice. 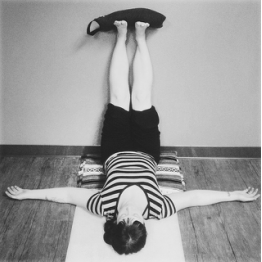 Relax and release your stress and tension using bolsters, blankets, straps and blocks. This class is appropriate for all levels. 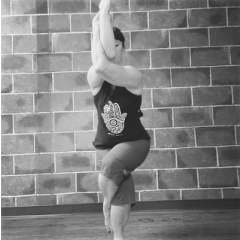 The focus is on fully supported postures with therapeutic application, breathwork and relaxation techniques. 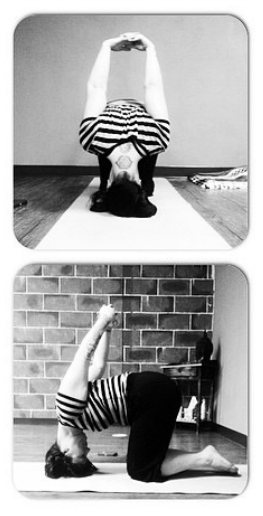 Breathwork/Pranayama, Asana/Postures and Relaxation/Meditation geared specifically towards the new expecting body.. Classes are appropriate for second trimester up to delivery with a provider's release. Please call for information (915) 227-8094. Bond with baby and rebalance the postpartum body. Classes focus on postures while interacting with baby, postpartum body needs and a community for new parents and baby. Postpartum bodies are welcome in class as soon after birth as they feel the need for community, however, you are asked to refrain from postures/exercises until a provider has released you to exercise. There is no charge to those who are "auditing" the class with their baby before provider release, you are welcome to participate in the community without the physical practice. Rebalance the body and get in a practice that is open to parents with kids of all ages- great for siblings! The sequence is focused on the participating adults and the kids are encouraged to participate (or not) as they would like! Practicing in a space that is open to child participation but not "making" them practice is one of the best ways to get children to do yoga! Ages 12-17 - Classes include Asana/Postures, Breathwork/Pranayama and Meditation/Relaxation in a program geared specifically towards teen girls and issues they face daily. A yoga practice designed to promote self-esteem, healthy ways of dealing with stress and a safe community to practice within where there is no judgement, but lots of laughter, balance, and maybe a little sweat! There is some availability for private sessions in the studio if you don't have home/office space. Contact (915) 227-8094 for more information. Please Call (915) 227-8094 For Large Group and/or Corporate Pricing. 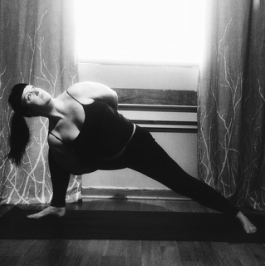 Fall, Spring & Summer 200 Hour Teacher Training!!! We are a Registered Yoga Alliance School! 500 Hour Starts Fall 2018!!! Call (915) 227-8094 To Book A Workshop For Your Location.